Ivy! Who is that, that’s not the name of my wife, so? Well, I share a special relationship with her actually it's been special since day one. It’s been a little more than six years that we have been together. 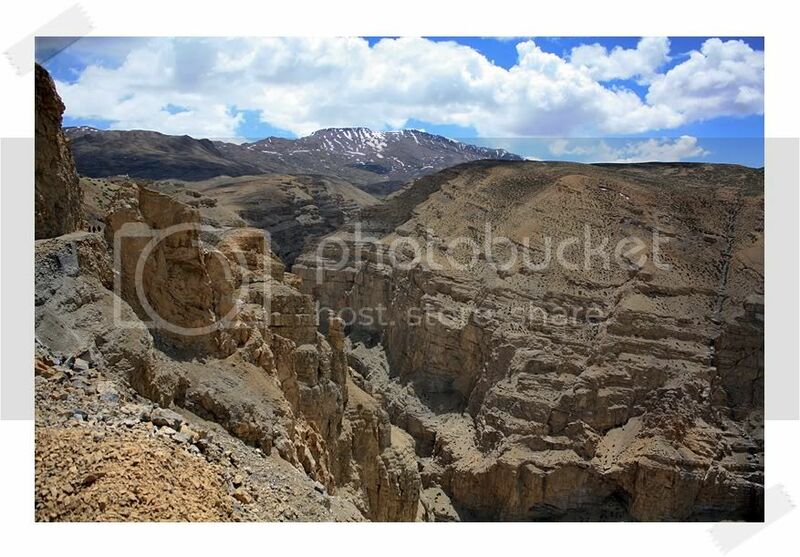 From the desolate deserts of Rajasthan to the freezing, barren plains of Ladakh, we have travelled together. The journey has been long, cannot believe it’s already more than 70000 kms. And as I look back at these years and the adventures that we have jumped in together I cannot help but feel the anguish that it is over. All the road trips over all these years have just made me more mad about travelling but Ivy may not make it one more time to the mountains. I can’t bear to listen her barrel screaming trying to haul the Misus and me above 3000 metres, it just breaks my heart! So, is that it? Ivy would remain chained to the confines of a city till the rest of her days? An earlier travel story of ours (Ivy and me) picked up xBhp and voted by my friends and well-wishers makes happen something which I didn’t dream about! Ivy and me, will head back to where we really belong, the mighty Himalayas..one last time! Wrangler Search for the True Wanderer has placed me in elite company between some of the finest tourers of our times in India and also given Ivy to have her in all probability last real hurrah in the mountains. The night is long and it is darkest before the dawn! 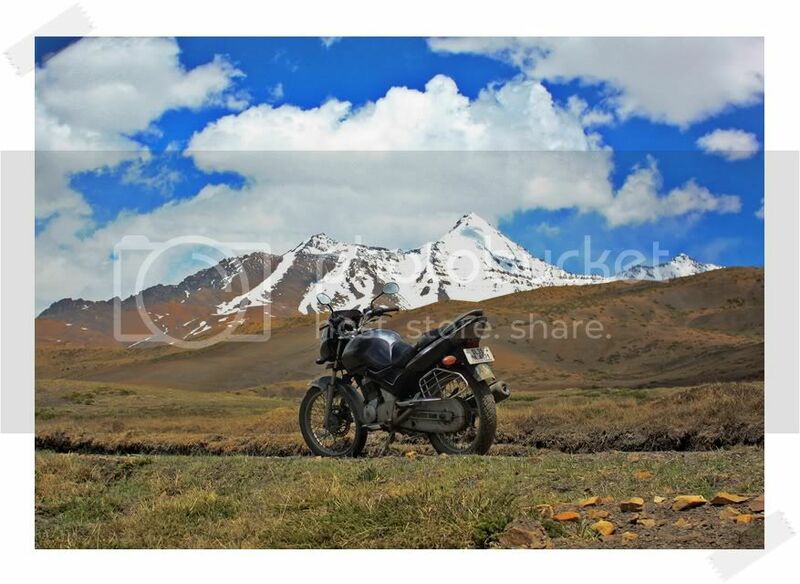 Together we will ride out and meet the Himalayas one more time. And it begins in less than 9 hours from now! As I sign off for the night..Ivy awaits me, the Himalayas awaits us and you all, my amigos please wait as this I assure you, will be one awesome ride by this couple, the very last time! All set to head to the Wrangler Exclusive Store in South Ex - II in Delhi, try and be there. Its been an uneasy night just like any other night before a road trip. Ivy had a bath and some polish. Some photographs of riding gears and Ivy. Stay tuned for more updates. The cool Himalayan breeze, the fresh air, the mystical lights of the distant hills..ah! Its good to be back you know, in fact its great to be back! I wish my heartiest thanks to Deepak and Jack, who turned up in the Wrangler Exclusive Store in South Ex today to see me off! Sunil for clicking some awesome images of me and of course Nadya, my better and brighter half for always being there, in person and in spirit. After the official flag off, I rode out of the showroom at 1445 hours, not too bad if you consider general Indian apathy for punctuality :D But the Friday afternoon Delhi traffic ensured I would ride for another hour before I could be finally on NH1 from GT Karnal Bypass. It took me a while to get used to the heat and humidity and I needed a couple of rehydration breaks. But once I settled in, Ivy kept the tacho needle on the correct side of 6000 rpm and we were in Jhilmil Dhaba in Karnal in just under two hours. A quick snack of bread toast and a cuppa helped the mind to recharge and the endless diversions till Ambala were negotiated in good time. As day light faded, the tinted visor of my LS2 attracted my attention and I had to put on my riding glasses to counter the ineffectiveness of the visor at night. Now this is something I have never done before, using riding glasses as I never use tinted visors for road trips, but then today was the day of “firsts” remember? The Zirakpur-Pinjore stretch, a pain in the backside even a couple of months ago is now a changed stretch of highway, with all the 6 flyovers open to traffic, Ivy could stretch her legs and go ton up almost all along the stretch. Once past Kalka and Parwanoo and knowing I have a long day tomorrow, I decided to halt for the night at some nice place between Dharampur and Solan and pulled up in Hotel Sunrise Cottage. The place as a nice rooftop café, an internet café and pretty decent rooms and at 1000 rupees/night and the pricing is on ball park as well. I see some activity in the kitchen, my guess is my dinner is almost ready :D A simple dinner of rotis and daal will suffice tonight. I will leave you with a few pictures from the day, at my flag off in the Wrangler Store, at Karnal dhaba and some from the hotel. I couldn’t click much because of the late start hence I had to make up whatever time I could. But that is going to change in about 24 hours J Good night friends, keep reading my blog ..as the Queen makes her return tomorrow! What an awesome day! What an awesome ride! Sure, Ivy and me got bathed in dust and mud, we got baked in sun and got stuck somewhere for one hour for completely avoidable reasons but what the heck! None of these are going to take away the awesomeness that today’s ride was. It was an early morning start from last night’s hotel at 6:50 am but then the railway crossing at Solan held us up a bit as one of the locos of the Kalka Shimla narrow gauge railway was passing through. After that the ride till Shimla remained uneventful and very fast (relative term). I have never taken turns at 90-100 kmph will saddle bags on in the hills, well today I did! Ivy was as usual awesome around the bends, her chassis seems built for that purpose only. The road they call National Highway 22 is a joke once you get past Theog and I keep wondering how come an important national highway like this one never receives even patch work for 4 long years. Ok, there were some nice stretches as well but the ride till Narkanda is a backbreaking one to say the least. Fun starts 5 kms before Narkanda though and continues right uptill Rampur. Peg scrappable twisties with some nice little straights thrown in and top that up with the snow clad peaks and Satluj river which keeps you company all throughout. I had reached Jeori by 1330 hours and decided to fill the stomach which has been empty since last night’s dinner and this turned out to be a costly delay which I would know later in the day. The roads after Jeori turn bumpy and once I crossed Bhawanagar, they simply disappeared! Kilometres of dusty, rocky path all courtesy of the dam being built at Karcham by Jay Pee group. 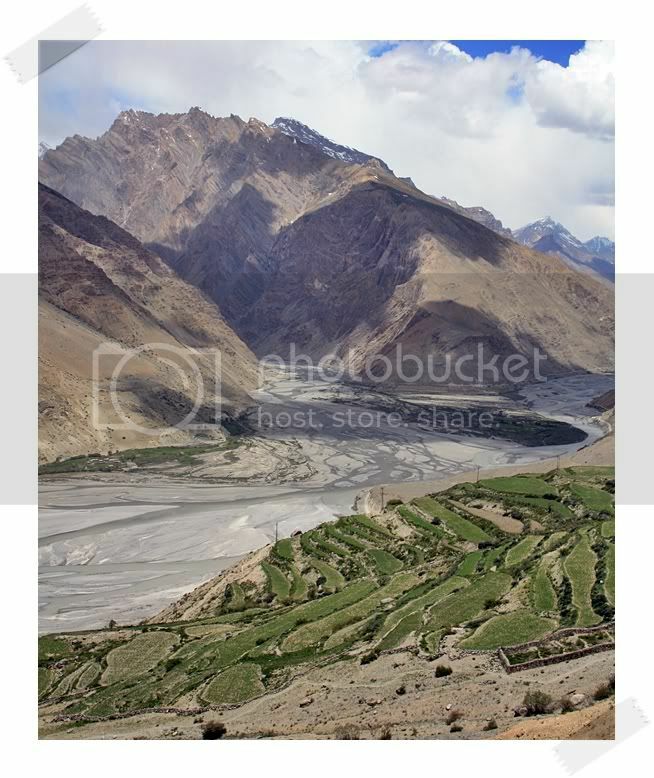 I did find it weird that how Kinnaur looks drier every year. Tragedy struck a few kilometres before Karcham! I was stopped by a random guy waving a red flag..they are blasting rocks!! Now this is something I didn’t account for when I started my day. A rock blasting and consequent clearing of the road isn’t a 10 minute affair and sure enough I was held up for almost an hour there. But wait!! There was more in store! And that something did cheer me up! Finally, I could take Ivy where she belongs, up in the high Himalays. The Queen had returned and did the Himalayas look happy!! I got some wonderful shots of the Kinnaur Kailash range as I entered my halt for the night, Peo! Staying in a Rs.500 room at Hotel Rooftop (the roof aint accessible though) and smiling like a fool..I am happy! The ride was awesome, Himalayas are awesome, people here are amazing and most importantly..Ivy, the Queen has returned! Ivy, the Queen returns to high Himalayas! Keep reading this blog as tomorrow we enter the Forgotten Land! 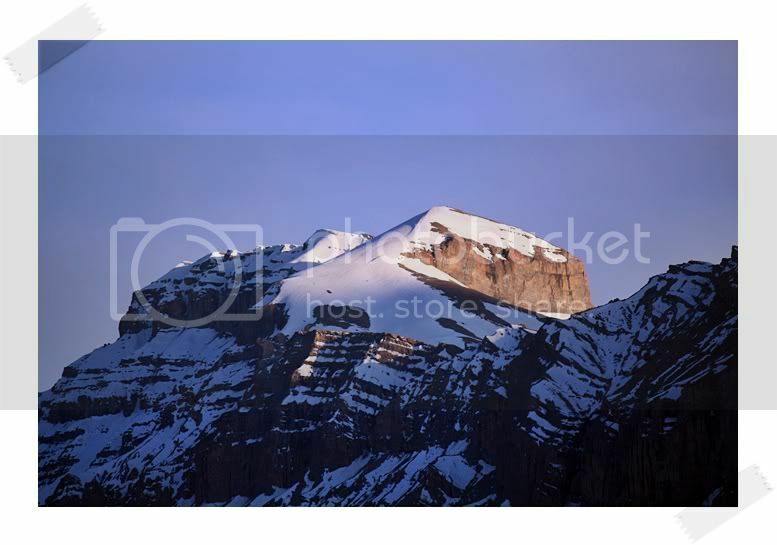 Leaving Peo shortly, mea nwhile some early morning shots of the venerable Kinner Kailash range. There is something about this place I am telling you! 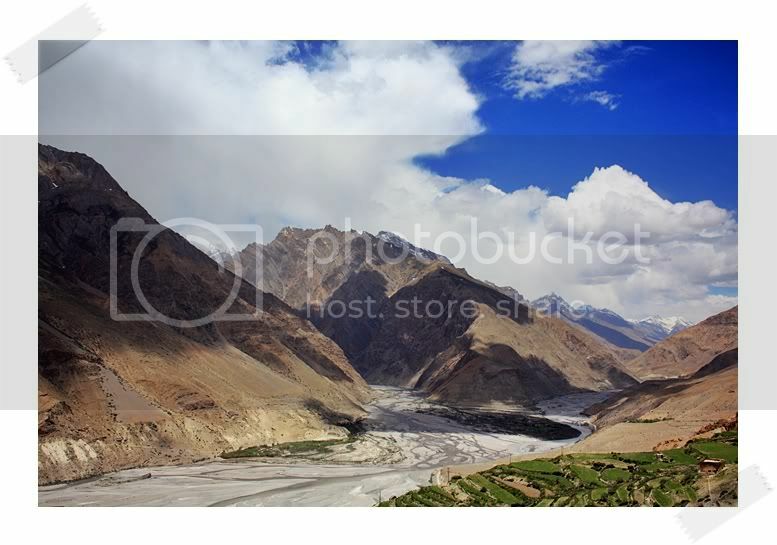 I mean, everyone these days has to go to Ladakh and I do agree it’s a place one should visit but the place that now I am in seems the same as Ladakh but is so strikingly different. 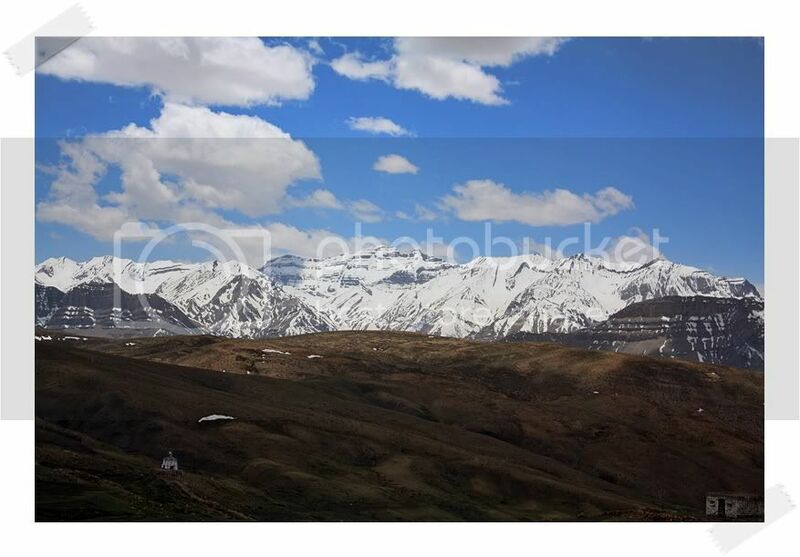 I am typing this from Kaza in Spiti, a place I completely fell in love with a few years back. 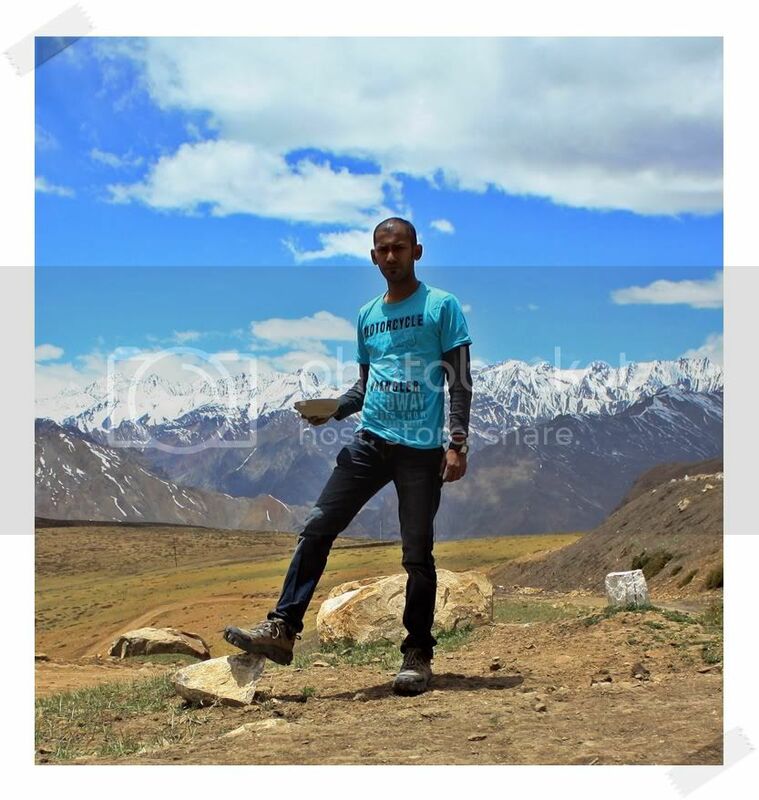 May be it’s the sleepy nature of the entire region, may be the inhospitable mountains surrounding it or the non-existent roads leading you deep inside its beauty, whatever it is, I love Spiti and I am glad that I am back! I woke up really early today, I had set an alarm at 5ish so I don’t miss on capturing the sun’s reflections on the Kinner Kailash range, I am glad I didn’t miss the damn alarm J The vistas were truly awe inspiring and the photographs I have posted in the morning barely does justice to the mesmerizing views which were on offer. By 6:50 am I was on the road to Powari when after riding for 4 kms I remembered that the bungy chords are missing..20 mins wasted to fetch them back..urrgh! Satluj kept me company all the way till Khab bridge where Spiti river takes on the duty of the guide! I took quite a few breaks on my way to Spillo, some for taking photographs and some to rest my shoulders. Now, I am not used to lug a laptop, 3 phones, datacards and the shoulders are currently in a pretty bad state. I need to find something quick if I have to wear the backpack tomorrow! A simple breakfast of tea and omelette in Spillo and we were back on the road to Khab pretty soon. The roads were excellent in most parts while some rock fall prone areas were expectedly bumpy and full of rocks, pebbles and gravel. Bidding a painstackingly long fairwell to my country cousins and the Israeli chaps when I finally managed to get going again, it was already 1330 hours. I stopped for photographs here and there, stopped a lot for drinking water, its essential to keep yourself hydrated as you gain altitude. As I entered Spiti from Kinnaur in Sumdo, I was greeted with rain! Yes, rain in an apparent rain shadow region. Thank goodness it lasted barely 10 minutes and I found a timely shelter under a rock overhang. Roads turned horrible as I approached Tabo as if reminding that “this is Spiti” and I will be tested J Tested I was, it had been a long day, and it took me a lot of self talks inside the helmet and frequent rehydration breaks to make it to Kaza by 1730 hours. My bed was warm and my blankets were cozy and the combination of both meant I didn’t leave their company till almost 9 in the morning today. Today is supposed to be my cooling off day after 3 days of hard riding on some of the unforgiving terrains. I had a bad bout of headache last night and felt good after a 10 hour sleep, in fact felt much better. Had a simple breakfast of cheese omelette and bread toast at the Dragon Café, this is a nice place for a lazy cuppa or lunch and from their terrace you can watch the Spitians go about their way at your own pace. 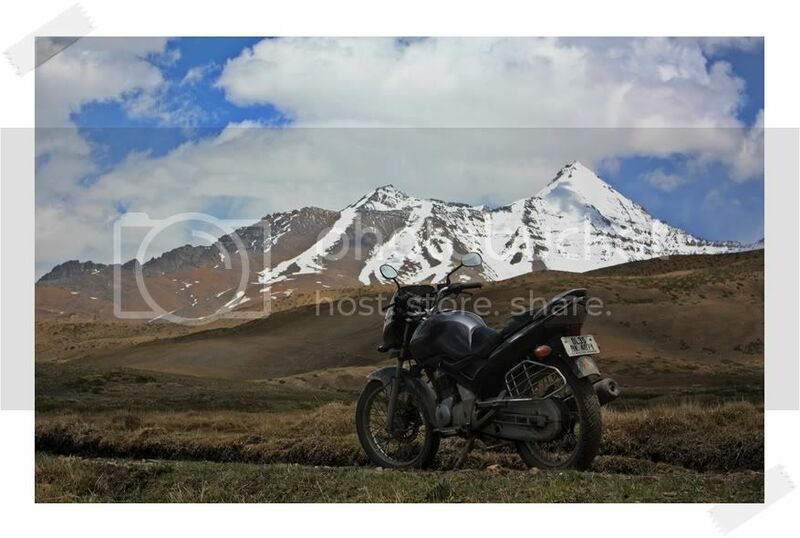 Now, I was in a dilemma whether to go to Kibber (4200 metres) via Ki monastery or ride to Kaumik (4786 metres)! 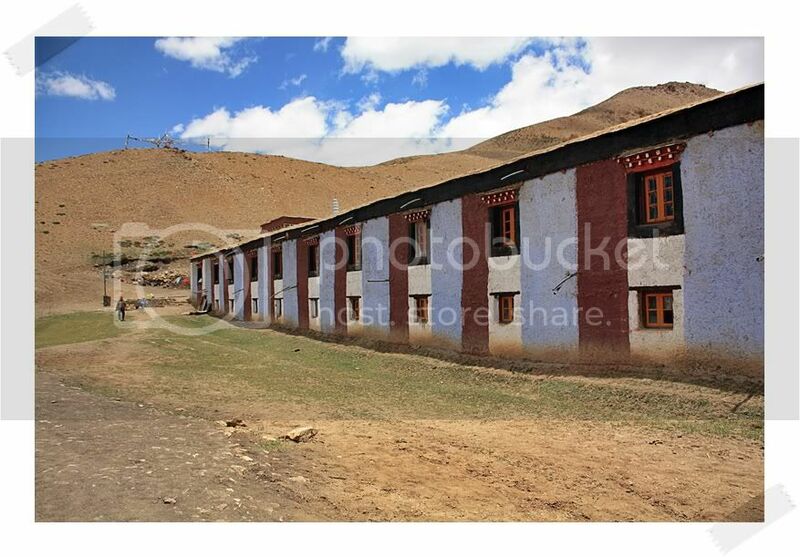 I had spent a few days in Kibber earlier and I know I loved the village so much that if I go there, I won’t be back in Kaza today. So Kaumik it was, the highest village in world to have road connected to it and a place I have only heard of since the past few years. 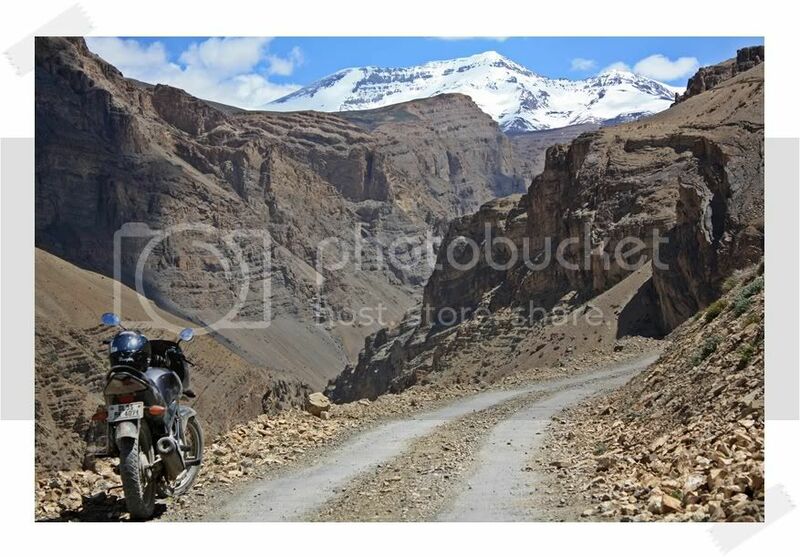 The road to Kaumik diverts off after you cross the Kaza gate towards Rangrik and it is a 18 kms ride from there. 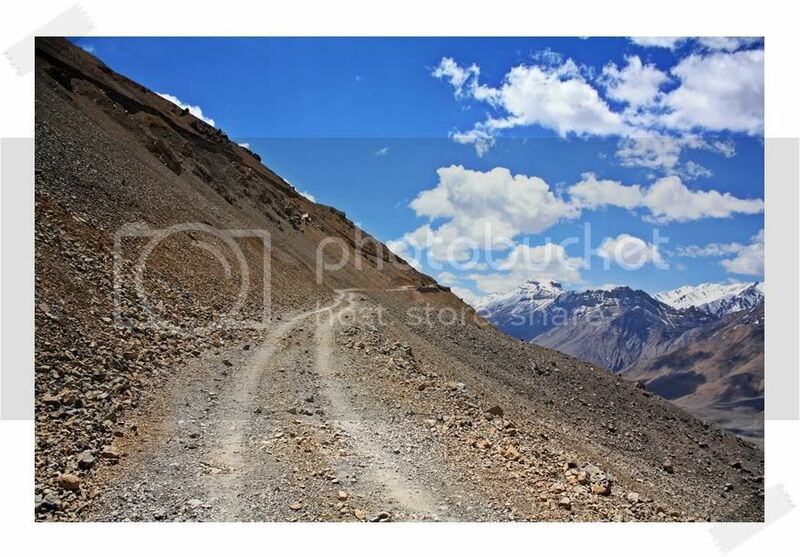 The road is a tarred one till the first 4-5 kms after that it turns into a gravel mud path but definitely rideable. The ride was fun, the instant altitude gain did affect me and resulted in me stopping every 1 km to catch some breath and regain my concentration. Throughout the trail to Kaumik you are surrounded by sky touching peaks, almost all of them snow-capped. 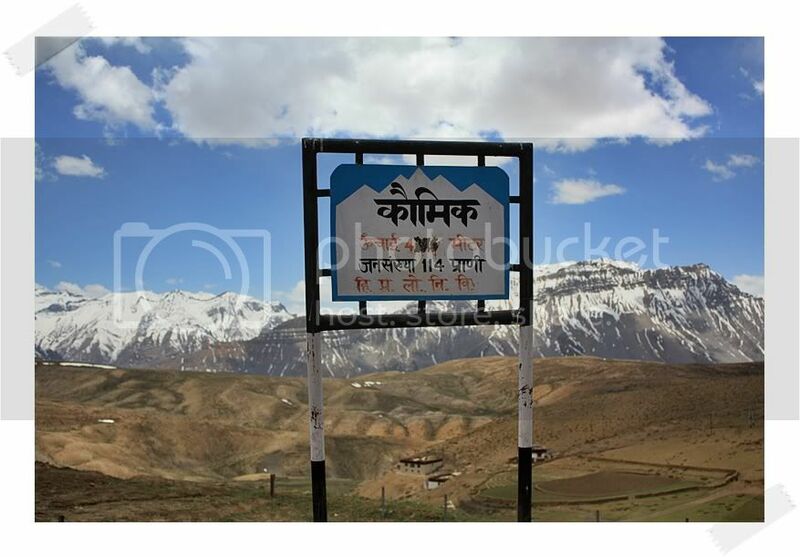 You could even get an eagle eye view of Kaza as the road climbs almost vertically above the town before diverting off into the mountains. With my bowl of daal, thanks man for it! 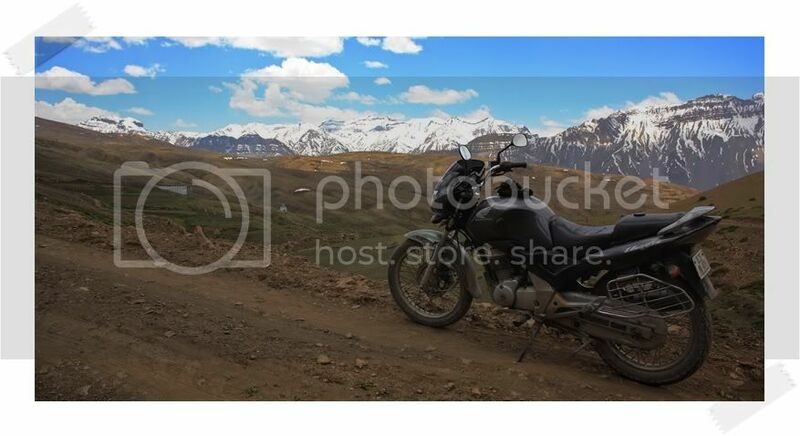 The ride back to Kaza was a quick affair with a small stop in Langza (4200 metres) and some short photography breaks. Crossing Langza, the last village on the way back to Kaza. The story of the day doesn’t here though. After dumping the riding and camera gear at my guest house, I headed out on foot to look for a place to grab some bite and a random guy suddenly asks me if I am Shamik!! 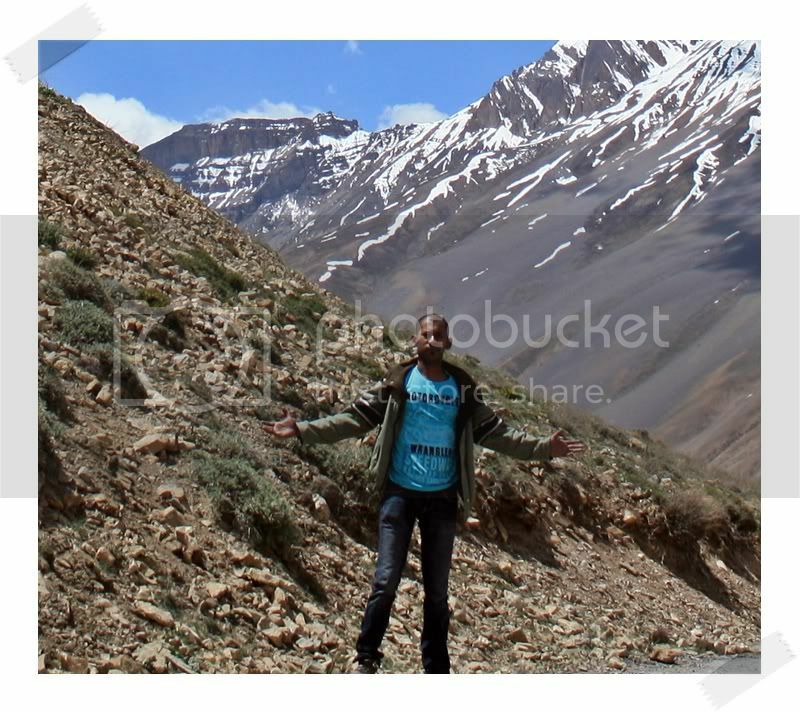 He is Amit, a fellow member of a travel community and has seen me in photographs earlier in the community’s website. 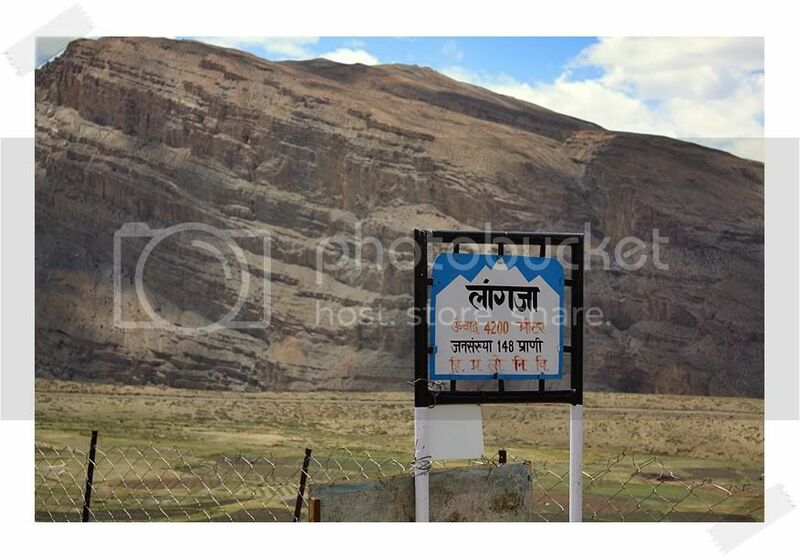 He is travelling through Spiti via public transport. We had lunch together and some nice chit chats about travelling in general. That sums up my day, tomorrow I make a painful and long ride back to Kinnaur but not before I visit an ancient place enroute ;) Keep reading friends, the journey as they say hardly ends! 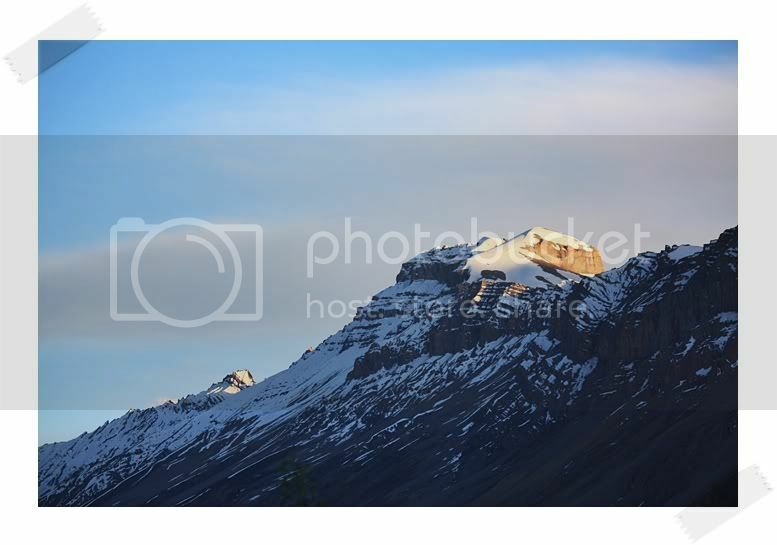 The sun came up unusually early in Kaza today. I didn’t want to wake up but the sun light coming through the window glasses made me to! I clicked a few photos and went back into my hiding under two blankets. The alarm rang unusually early today. I switched off the mobile and buried myself again! Finally Amit (the same guy I met yesterday) came knocking, asking if I want to join him for breakfast. I made some funny excuse and told him I am going to join him soon (sorry Amit). As I was about get into my blankets again, it hit me! Whom am I kidding, I have to leave today and there is absolutely no ways around it. A made a quick Facebook update (which some of you liked..lol) about how sad I am in having to leave Kaza. I love the place, absolutely love it and to leave in less than 3 days my heart wasn’t approving this at all..but it was overruled today! All these shengenians meant I didn’t leave Kaza before 1030 hours in the morning. I had lightened the camera bag hung on my sore shoulders by removing everything apart from the camera, the zoom lens and the laptop to the saddle bags. Felt much better with this adjustment and it was evident in my riding speed. 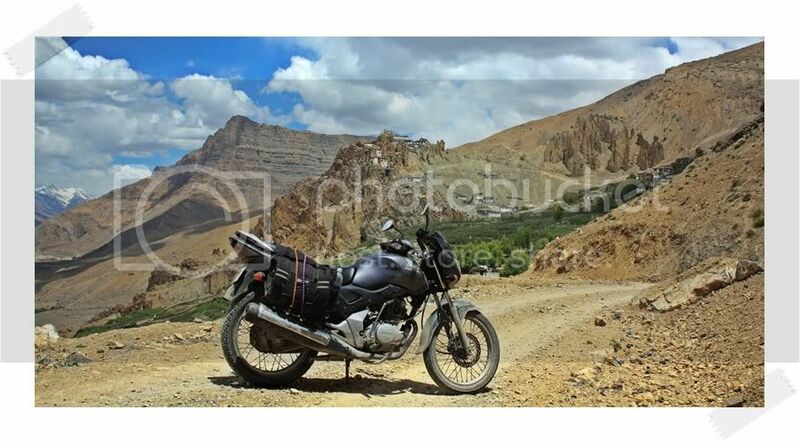 I was happily riding at 50-60kmph all way up to Chichling where I diverted off the road to Dhankar. 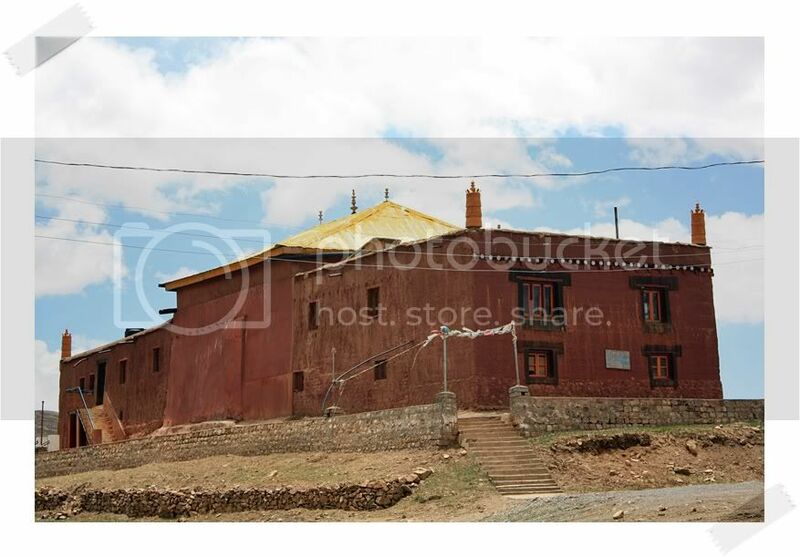 Dhankar houses one of the oldest Buddhist monasteries in the region at over 990 years old. 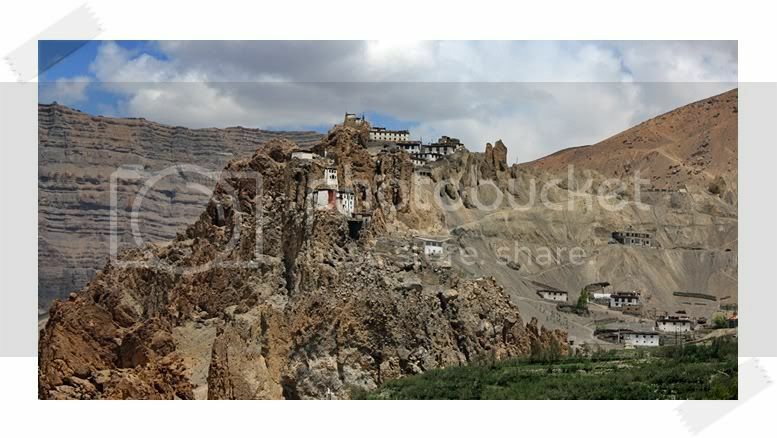 But it’s not the age of the gompa (Tabo at 1016 years is older) but the location which takes your breath away. 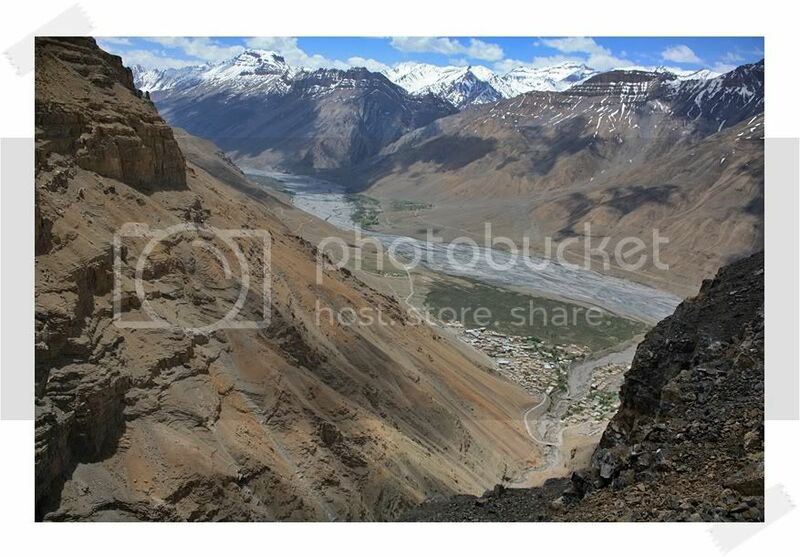 Sitting atop a cliff, the gompa gives you an eagle eye view of the confluence of Spiti and Pin rivers. It’s a sight to behold and somehow in places like these, spiritual thoughts flow in my mind from somewhere, the gompa notwithstanding. There on, it was an uneventful ride to Kalpa except one (probably drunk) truckie almost ran me over near Powari. He veered from his side of the road and headed straight towards me! I had nowhere to go but to almost brush the mountain side (the saddle bags did brush) and he missed me! I stood there for 5 minutes trying to gauge wtf just happened! Senses prevailed and I thanked my guiding star for saving the day! Sometimes, the perfect story does not get a perfect end, I so wish mine did! This ride has been amazing! Ivy took me through some of the toughest and visually spectacular regions in the planet. We rode long, we rode hard and we rode like we have done over the last 6 years and thanks to Wrangler and xBhp this road trip has been as memorable as any other. 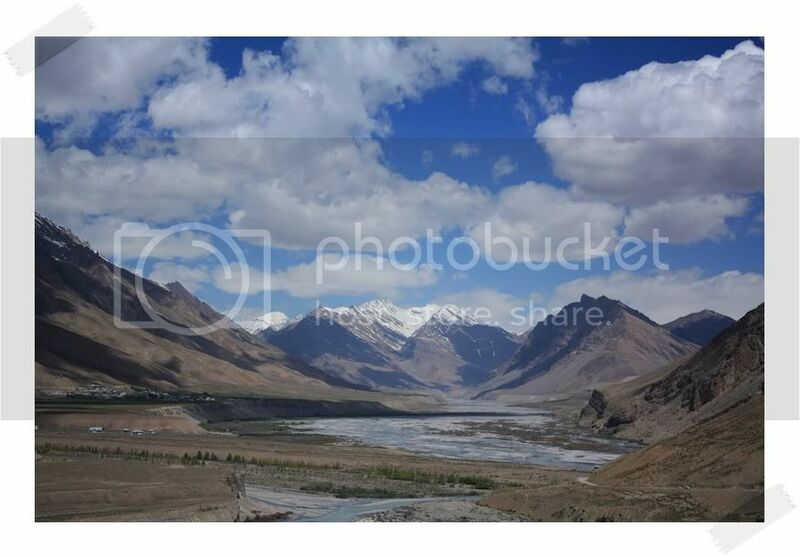 But today, it seems Himalayas were not in a kind enough mood. Kalpa was grey in the morning with clouds covering almost all of Kinner Kailash range peaks, I should have picked up the signs there itself. But in hindsight, there nothing I could do, I had to ride anyways. I was on NH22 by 0945 hours and tanked up in the petrol bunk in Powari. I knew what lay in front, the horrendous stretch of sand, mud and more sand & mud between Karcham and Wangtu. I gunned for it! Kept the throttle open as far as my guts allowed and as long as I could stand on the pegs at a stretch. It worked, it was much more fun to ride like this and it wasn’t very long before I reached tarmac’ed Jeori and then tragedy #1 of the day happened. Ivy’s front cowl started to clatter violently and before I could even get her to a full stop the whole thing came off! It was hanging by just the wiring connectors and I started to ponder what price I may pay for having that 30 odd kms of dirt riding! A good two hours was wasted in Jeori to get the fairing welded and fixed somehow back on to where it should be. And just when I started to pick up some pace approaching Rampur, ominously dark rain clouds caught on my tail! Riding as hard as I could one some of the best peg scrapping twisties in the state I couldnot out run the rains. It wasn’t just rain though, by the time I found some shelter in a little tea shop 5 kms after Narkanda, it was a fully blown hailstorm. I expected it to pass by quickly as the wind was strong but it lasted more than an hour. The next bit is pretty simple! I did contemplate of spending the night in Chandigarh or Panchkula but more compelling reasons (like a flight to catch) made me push all the way to Delhi. Reached home safe, happy and dusty at somewhere around 0300 am in the morning. That brings the curtains down on this road trip however it will not be fair if I didn’t thank Wrangler and xBhp for providing me such an opportunity to explore these lands that I cherish so much, and explore these places with Ivy, who I know won’t make it there ever again. This was indeed a ride of a lifetime and a ride of which my friends from all over the globe has supported through their wishes, likes and shares (and ratings as well). I am lucky to have friends like you all, lucky to get this opportunity to ride and write and lucky to have my girl Ivy, without whom none of this would be possible. I have secretly made a promise back in Kaza though! I will be back soon, very soon! P.S. Having some issues with my mobile’s connectivity with the laptop, a few photos of day 6 would be uploaded ASAP.